We are becoming a Trick Box School! As part of our whole school, wellbeing approach we are using Trick Box. Jump start Jonny is a series of online workout videos to get kids active at school.The videos are easy to access and pitched at a great level for the children so it is inclusive for all. They aim to increase children's base fitness levels but also help improve concentration by giving children a 'brain break', helping them to refocus. As well as Energizer activities there are also some exercise challenges and chill out videos. 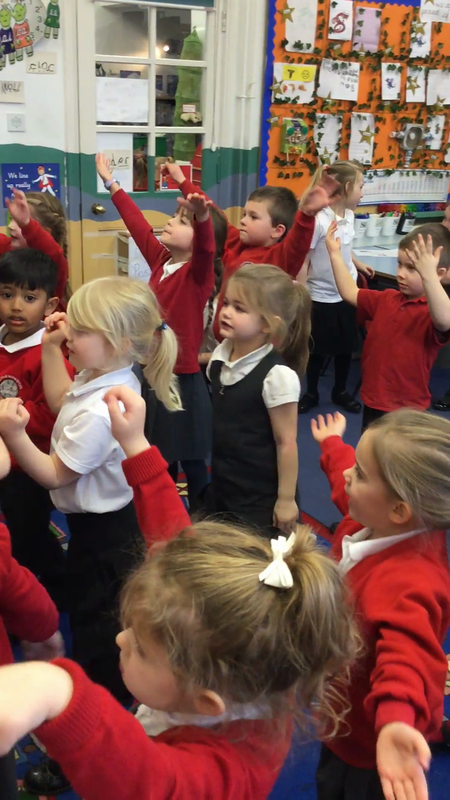 The children learn how to relax properly by taking part in mindfulness activities. ELSA stands for Emotional Literacy Support Assistant. ELSA was originally developed within Southampton then Hampshire by Sheila Burton, an Educational Psychologist. It was designed to build the capacity of schools to support the emotional needs of their pupils from within their own resources. It recognises that children learn better and are happier in school if their emotional needs are also addressed. Mrs Grant is the ELSA within our school. She covers a wide range of things with children including: social skills, emotions, bereavement, social stories, therapeutic stories, anger management, self esteem and counselling skills such as solution focused and friendship.